Ten days after cancelling the remainder of his Saint Pablo Tour, and then being checked into a Los Angeles hospital for exhaustion, Kanye West has been released. According to Rolling Stone, West is currently in the care of his wife, Kim Kardashian, and a physician at his L.A. home. West’s behavior—which has never shied away from elaborate, self-aggrandizing eccentricity—took a turn toward the dramatic in recent weeks. 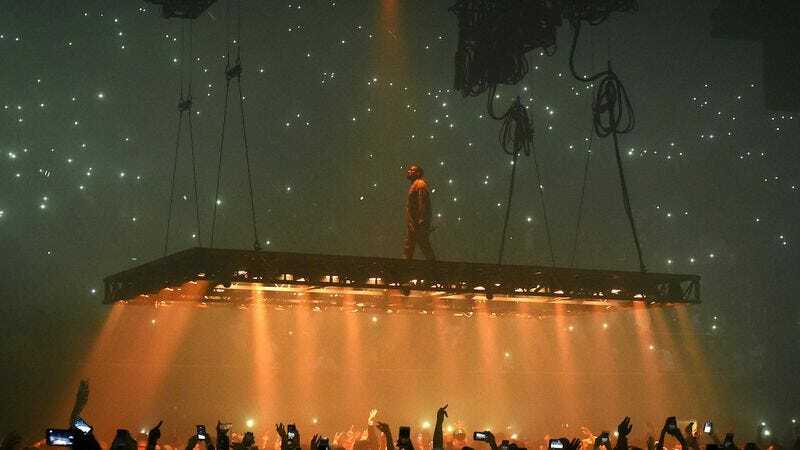 He began abruptly canceling Saint Pablo shows, and launching strange diatribes mid-performance. One night, he told a crowd that he wished he’d voted for Donald Trump. On another, he opened fire on collaborators Jay-Z and Beyoncé, before telling the media, “Get ready to have a field day, press, get ready, get ready, because the show’s over” and ending his concert just 30 minutes in. The final straw came last Monday, when he formally cut the tour short, and was later checked into a hospital, with sources citing West’s own health and safety as the reasons for the decision.